Ultrasonic testing technology is a typical non-contact measuring method, which is based on electronics, materials science, physics, etc., and it is widely used. 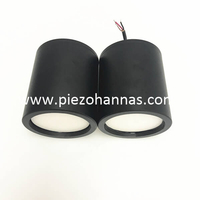 As a type of wave, ultrasonic transducers have all the properties of a wave. Ultrasonic testing is achieved by the physical process of ultrasonic generation, propagation in the medium, and reception of ultrasonic echoes. Ultrasonic waves are generated by mechanical vibration and can travel at different speeds in different media. 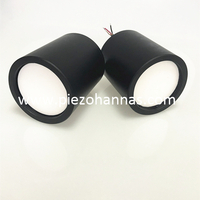 In the air media, light, dust, smoke, electromagnetic interference and toxic gases which have almost no effect on the performance of ultrasonic distance sensor, and ultrasonic ranging sensors are inexpensive and easy to use. Therefore, it has been widely used in many fields such as liquid level measurement, industrial automatic control, construction engineering measurement, mobile robot visual recognition, and automobile reversing collision avoidance system. Sound waves are mechanical waves that can travel in media such as gases, liquids, and solids. Ultrasonic refers to a mechanical oscillation that propagates in an elastic medium at frequencies above 20 kHz. Normal human hearing can hear sound waves of 20 Hz to 20 kilohertz (kHz), sound waves below 20 Hz are called infrasound or subsonic waves, and sound waves of more than 20 kHz are called ultrasonic waves. Ultrasound is a member of the large family of sound waves. It is essentially the same as the audible sound. All they have in common is a mechanical vibration, usually propagating in an elastic medium in the form of a longitudinal wave. It is a kind of propagation of energy and momentum. 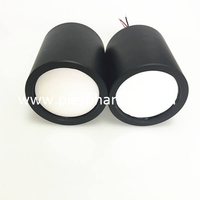 Form, the difference is that the ultrasonic distance measuring transducer sensor is high, the wavelength is short, and it has good beamability and directivity along a straight line within a certain distance. If the influence of water vapor and other impurities in the air is neglected, the propagation speed of ultrasonic wave at normal temperature is 340m/S. 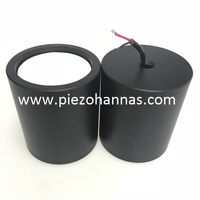 The temperature, humidity, pressure and other factors in the air have certain influence on the ultrasonic propagation speed, and the influence temperature of ultrasonic sensor transducer is big. In general, for every 1 °C increase in temperature, the speed of sound increases by about 0.6 m/s. Sound attenuation refers to the phenomenon that sound energy is reduced in propagation due to beam divergence, absorption, reflection, and scattering when the sound wave propagates in the medium. 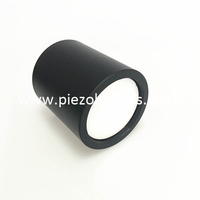 The main causes of ultrasonic attenuation are beam spreading, grain scattering, and dielectric absorption.